We are highlighting some of the unsung fundraising heroes from Football Clubs throughout the county. 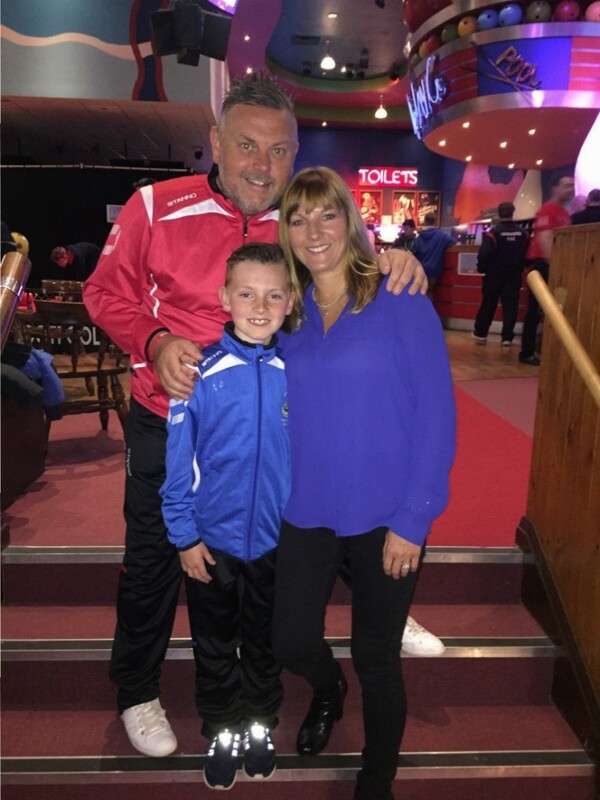 First up is a supporting couple – Julie Parr and Steve Jones, who shop in support of Chasetown Crowns & Diamonds FC. These are 2 newly formed under 10’s teams from the Chasetown FC youth section, in Burntwood, Walsall. The teams have raised £1,103 so far, but a substantial chunk of the donations have been generated by Julie and Steve – £649 to be exact! They are setting a great example to their 19 supporters, made up of parents, coaches and other members of the club community. Steve is a coach for the Chasetown Crowns whilst partner Julie is a supporting parent. We put them both on the spot to find out how they have made easyfundraising work for them! Why did you join easyfundraising? The club were looking at ways to raise some extra funding to buy the usual things like balls and bibs, as well as kit. However, one thing that has been apparent is that when the boys are competing at tournaments, it can be expensive for families to pay for accommodation. So the committee started promoting the fact that much of the funds we raise can be used to pay for family accommodation for upcoming tournaments. We liked the idea of supporting the club year round by just doing something we do already – we buy online and without paying any extra we are raising money for the club. It’s amazing to think between us we have raised such a substantial amount! How do you encourage other supporters to shop in support of the teams? We’ve spoken to our friends and family about it and given them a quick demonstration of how easy it is. The team committee tries to promote easyfundraising as much as possible to all the parents using social media and email – there are still many out there not using it yet and I hope they can read this and follow our example. Are there any specific retailers you shop with most frequently or any which have resulted in big donations? Only the usual – we regularly shop with Argos and Next – we haven’t really had to change our buying behaviour at all. However, our most significant donation was earned recently by booking our family holiday with Thomson Holidays – it resulted in a £215 donation! I’m really pleased we did that through easyfundraising, it’s made a big difference to our total from just one purchase. We book trains quite regularly too and Virgin give a handy donation for those too. How do you remember to keep using easyfundraising when you shop? We have the app installed on both of our phones and iPads now as we were often making impulse purchases during the day and losing out on donations; this has made a big difference to the amounts we have raised and is well worth doing! We also have the Donation Reminder installed on my computer at home, and this has been a great prompt to activate the donation with retailers that I hadn’t previously realised were participating in the scheme – you can literally be buying anything! What would you say to other Football Clubs not using easyfundraising? I would recommend every club uses easyfundraising, why wouldn’t you? It really is money for nothing – It takes a few seconds extra but the benefits are more than worth it! It’s become a habit for us now and it has made the money come rolling in. It’s popular amongst the parents but it’s just important to keep reminding them when they can use it – Christmas is obvious, but there are other times like half term, Mother/Father’s days, all year round really! Have you got, or are you an easyfundraising supporter at your club who has raised a substantial amount? Want to tell your story? Send your answers to the above questions to yourstories@easyfundraising.org.uk and you could be a supporter on the spot!